The starting point of the process is a comprehensive façade survey and analysis. This is followed by spot testing and sampling with the most appropriate technique, selected from a range of products developed by NeroQuom® and complying with all relevant international standards and environmental policies. 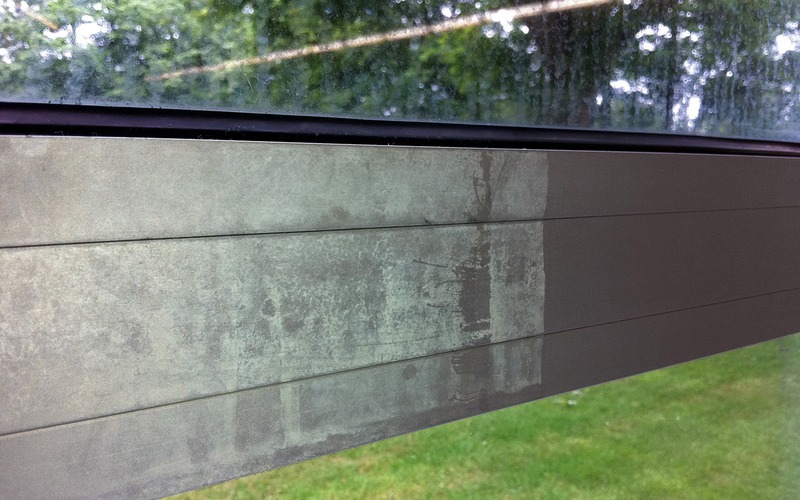 During the washing and inspection of the building, we record all visible defects with our bespoke survey software. All issues are highlighted and a digital façade drawing is produced, including before-and-after visuals based on the recommended product and restoration technique. We have the capability to work with both 3D modelling and CAD for a more robust report. Carried out by highly skilled specialists, the methods for glass restoration we offer are not only fast and effective but also meet all warranty specifications. As with Thomann-Hanry® masonry cleaning, all glass and metal elements of your façade are cleaned using a dry system. No water is ever required. Similarly, we can access and work on all areas of your building using either MEWP, BMU or rope access, so no scaffolding is necessary. Better still, none of our glass restoration products and techniques poses any risk of damage to surrounding façade materials, such as rubber, paintwork, cedar, and stone. We can work on flat, curved, etched and sandblasted glass. Even during construction, new building façade materials can be heavily contaminated by concrete spills, cement dust and the elements. With subsequent rainwater contact, the resulting stains may well become difficult to wash off. 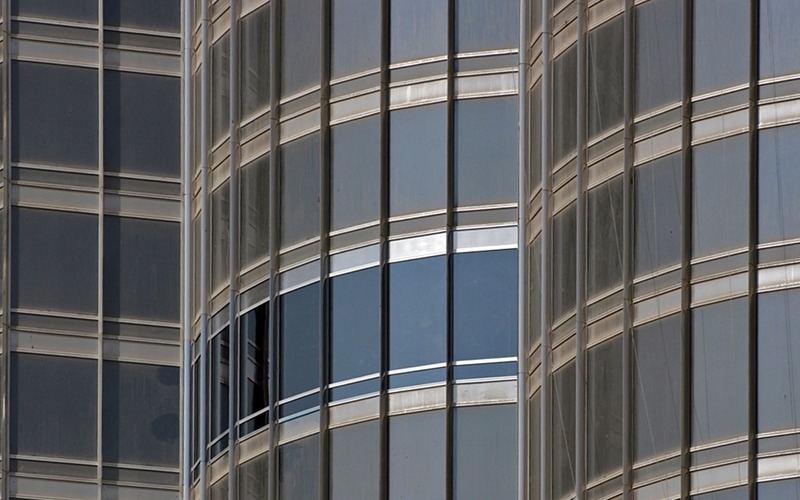 Architects, contractors and façade construction companies do not always possess the technical expertise to understand how critically important is to protect the building materials they use. This can result in inappropriate restoration methods being employed or fast, cheap market solutions being used, both bring with them the attendant risk of damage to the surface which can often prove irreversible. We offer safe and effective PH-neutral glass treatment solutions to remove deep scratches, welding pits and lens effects, as well as calc, limescale, saltwater stains, rust, glue, grease, oil and previous applications of inappropriate glass products. We offer specialised treatments to achieve transparent, water- and dirt-repellent glass. Unfortunately, many of today’s modern construction materials are not compatible with one another. 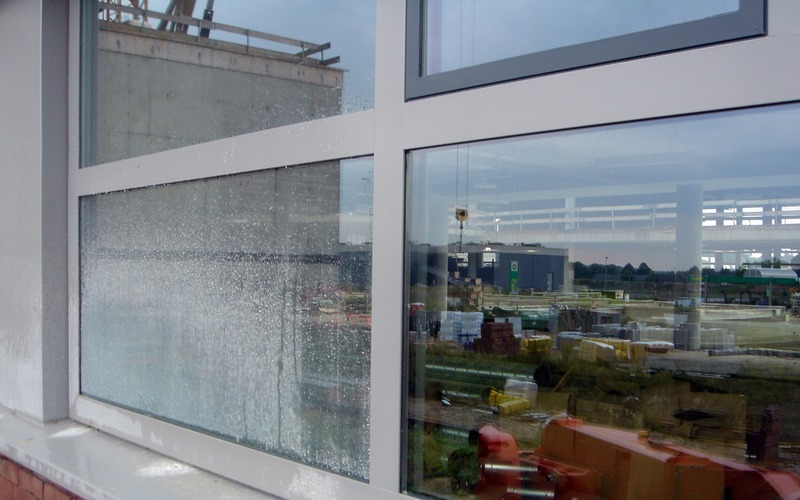 Concrete dust and run-off is highly alkaline and can cause severe damage to glass and anodised coatings that have not been properly protected during construction. 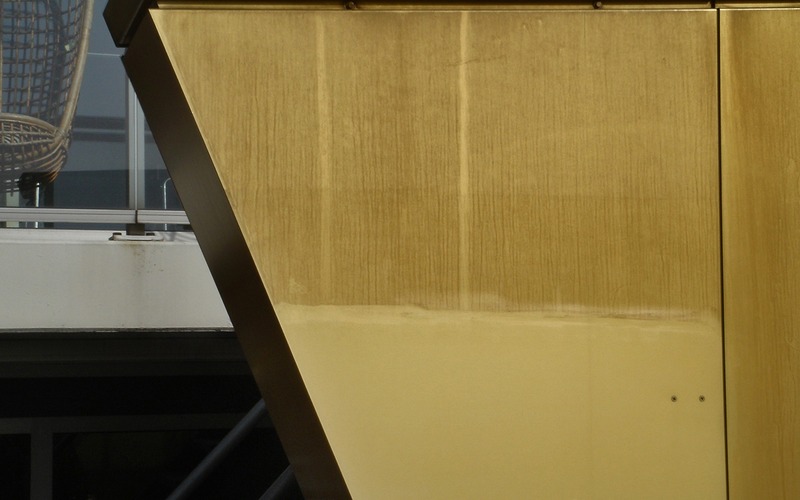 As re-anodising on site is not technically possible, this damage is often covered up by spraying – only to be revealed later, when corrosion sets in. Furthermore, many of these fast spray solutions are not applied properly and last little time, resulting in the swift re-emergence of any hidden defects. 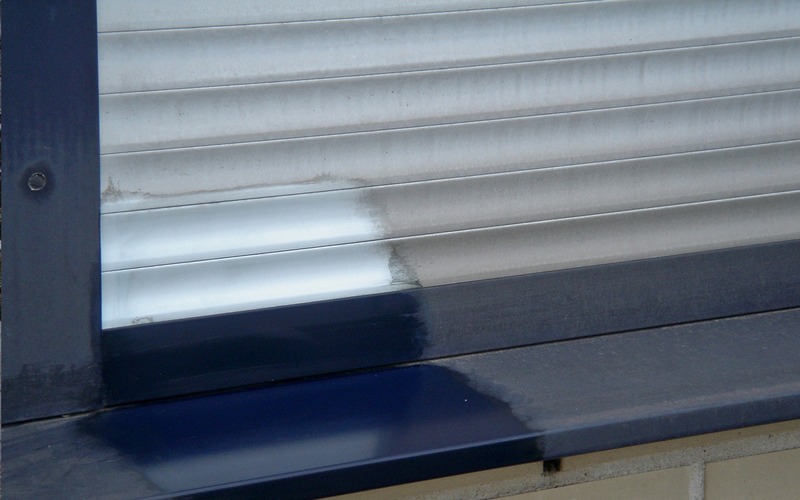 To tackle heavy anodised aluminium contamination, we deep clean the surface to remove any contamination – either dating back to the construction phase or caused by subsequent weathering. When the impact of contamination is so heavy as to render surface structural damage all but irreparable, we offer a dedicated system based on molecular tension. This method fills the pores of any colour anodising to re-close the damaged structure, restoring both colour and gloss back to their former glory. Anodised aluminium recoating is only necessary when the complete layer of 25-micron anodisation has been removed, damaged by scratches or severely aggressive contamination. 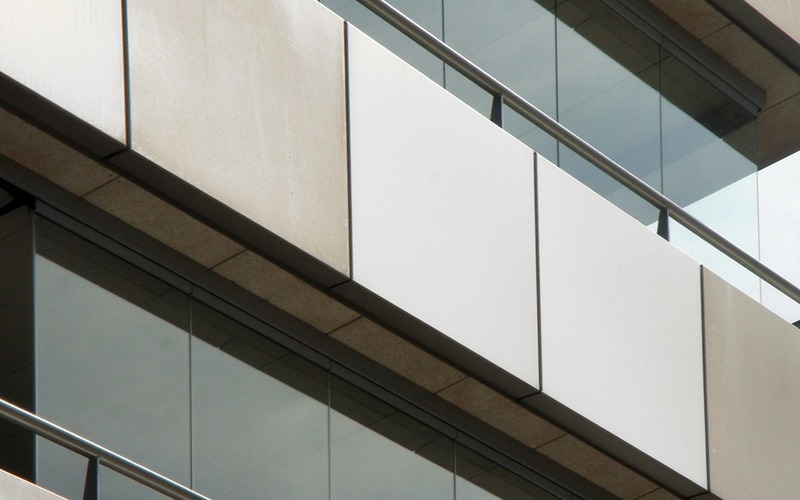 Coated aluminium surfaces can have a very long lifespan if well maintained. However, building owners and managers frequently notice that the aesthetic value of their façade has diminished, with even regular window cleaning proving insufficient to keep the building looking its best. A professional façade survey is essential to establish the most appropriate remedial measures to take. Depending on the original/current status of your façade surface, our coated aluminium restoration technique can improve it by between 200%-700%. Based on molecular tension, this technique delivers absolutely stunning results. We offer safe and effective PH-neutral coated aluminium treatment solutions to restore coated aluminium colour, gloss rate and hardness. Re-coating is an option when damage is beyond repair. We also often offer re-coating for building façade restyling – for example, when matching new tenants’ corporate colours. Coatings are available in a variety of finishes, from fully transparent to colour matched, with options including structure, metallic and ceramic coating, which gives an outstanding high gloss finish. In our specialist opinion, it is best to define the most effective façade maintenance method based on the weakest material on the façade. 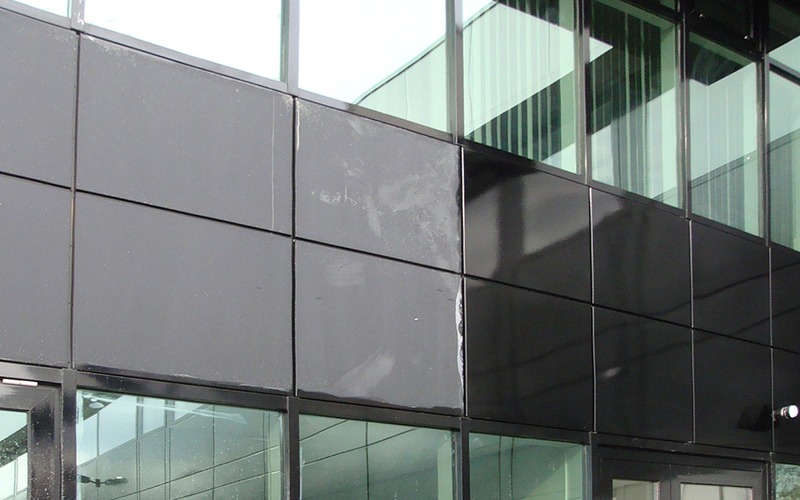 Aluminium frames and cladding can not only suffer a severe degradation in colour and gloss rate, but coating hardness and lacquer thickness can also decrease at a fast pace, with a high risk of corrosion. We offer a fast and effective solution to renew colour and hardness, devising a maintenance schedule that is based on the various elements of your façade and tailored to your budget. If you demand a new and shiny finish when choosing stainless steel as façade material, there are certain simple cleaning methods that shouldn’t be part of your cleaning routine. Instead, you would be better advised to hand it over to a specialist to identify which technique is the most appropriate. Although soapy water and oiled products are frequently used for interior applications such as lift doors and kitchen appliances, they are hardly ideal for regular cleaning of external stainless steel surfaces. 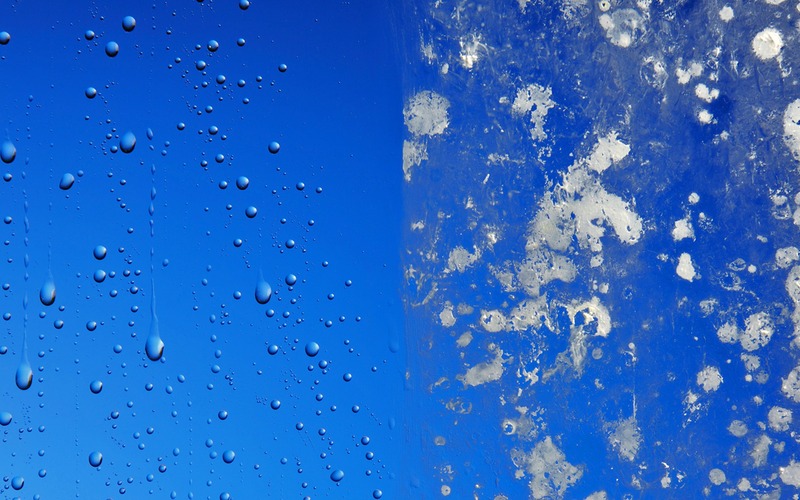 Similarly, exterior areas exposed to the elements including building entrance doors and ground floor cladding can also deteriorate in appearance if repeatedly cleaned using the wrong products and procedures. We use emulating techniques, avoiding the use of oils and acids. Our product, applied with a dedicated cloth suited for the purpose, enables the removal of corrosion and previous products from the surface. Following application, maintenance cleans are easily and conveniently carried out, with just water and a microfibre cloth. We offer safe and effective PH-neutral stainless steel treatment solutions to remove corrosion, contamination, saltwater stains, rust, pits and fingerprints. 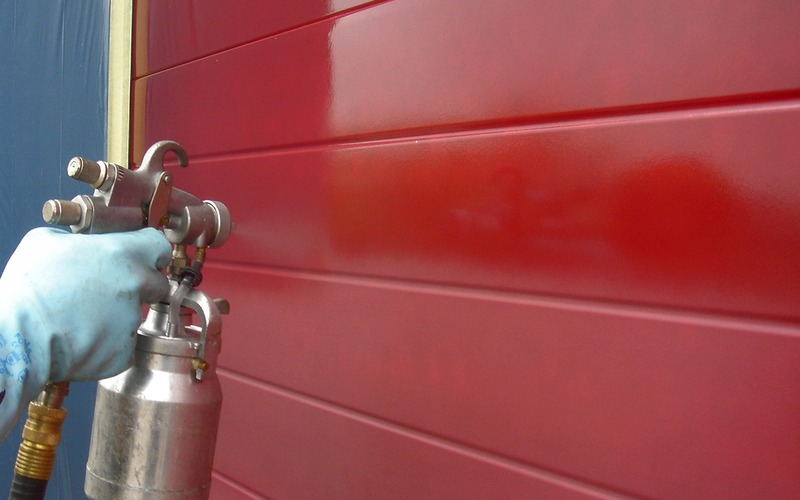 We can also polish and re-brush stainless steel to eliminate scratches, as well as damage caused when the surface has been exposed to vandalism. Accessibility considerations can sometimes hamper or prevent frequent maintenance. If the surface is exposed to heavy contamination, stainless steel protection is highly recommended, especially in cases where corrosion is an issue. By choosing Thomann-Hanry® you no longer need to seek a separate party to carry out glass restoration works and metal restoration works in your building. If you’ve identified similar problems in your building, contact Thomann-Hanry® to discuss a detailed survey and test samples for a bespoke solution.